During a break from U2, both Larry Mullen and Adam Clayton worked on the 1994 album by Nanci Griffith, “Flyer”. “This Heart” was the first release as a single to radio from that album, and it features Larry Mullen on bongos, percussion, cowbells, and the “closing drumstick toss”. The version released here on this promotional single to radio features a version of the song engineered and mixed by David Leonard. The song itself is an edit, shortened for radio. The album version of “This Heart” was 3:26 in length. An earlier promotional release of the full album featured a different mix of “This Heart” at 3:25 in length. The album version is listed as being engineered and remixed by David Leonard, and being remixed by Larry Mullen Junior. The earlier full promotional release of the album only mentions David Leonard in the engineering and mixing of this song, much as this promotional single does. It is believed that this Edit is from the mix that features on the promotional album. Adam Clayton did not perform on this track, but did feature on three other tracks on the full album. 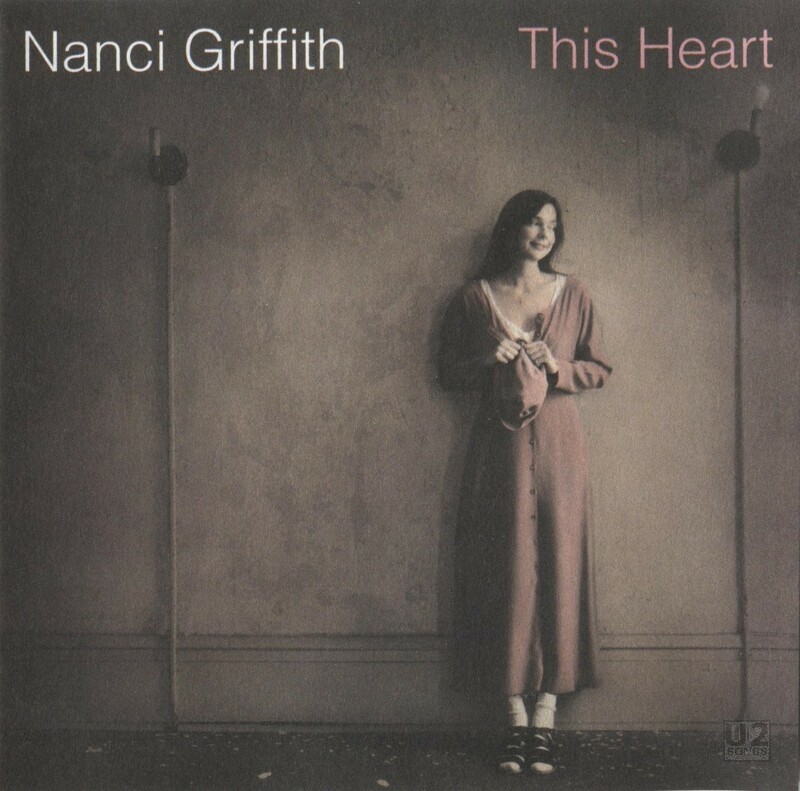 Nanci Griffith: Lead and harmony vocals, guitar. Sonny Curtis: Supporting vocal, rhythm stratocaster electric guitar. Kurt Neumann: Harmony vocal. Sam LLanas: Harmony vocal. Frank Christian: Electric guitar. Al Anderson: Acoustic and electric guitar. Bill Dillon: Electric guitar. Michael Rhodes: Bass Guitar. Tony Levin: Chapman stick. Pat McInerney: Tom tom. Larry “Lastword” Mullen Jnr. : Bongos, percussion, cowbells and closing drumstick toss. Produced by Peter Collins. Engineered and mixed by David Leonard.